See more objects with the color darkkhaki sienna saddlebrown rosybrown dimgrey or see all the colors for this object. This is a Sugar bowl and lid. It was manufactured by Sèvres Porcelain Manufactory. We acquired it in 1981. 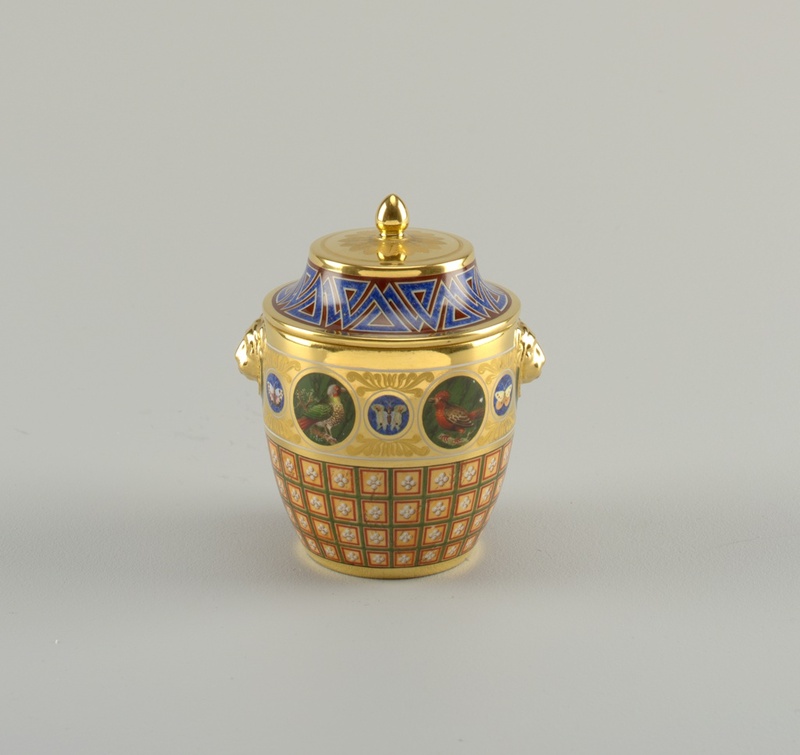 Its medium is enameled and gilt hard paste porcelain. It is a part of the Product Design and Decorative Arts department.